Ubisoft releases new “Route 66” expansion for Trials Rising. Ubisoft has launched the first expansion for Trials Rising. 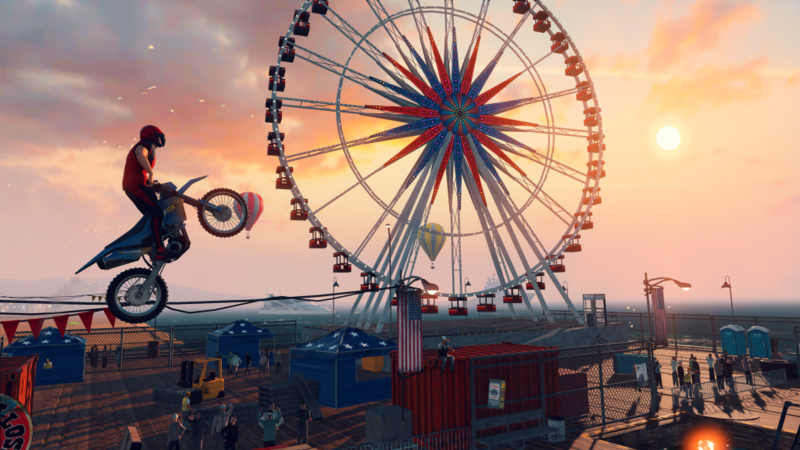 Trials Rising Sixty-Six allows players to ride along the most legendary route in the United States – Route 66, which provides a perfect backdrop for riding across the Grand Canyon and through the Windy City. In order to access the expansion players will need to complete League 3 in the base game, and by doing so they will have access to twenty-four new tracks with two new Stadium Finals and Skill Games. Also included are new contracts, new hidden squirrel collectables and a new American Football Outfit which features a helmet, jersey, pants and cleats. Sixty-Six is available standalone or as part of the Expansion Pass and is available from today on PlayStation 4, Xbox One, Nintendo Switch and PC. In addition to Sixty-Six, Private Multiplayer mode is now available at no additional cost to all Trials Rising players.